Delightful Dragons and their Surroundings! 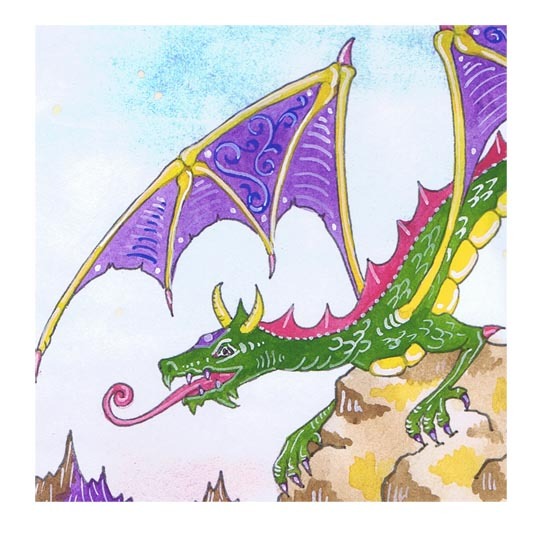 Six classes which guide you through all the steps of sketching, inking and painting a dragon in a fantastical setting, with a swirling scroll bearing the title in Gothic calligraphy. Class 1: Learning to sketch some basic dragon details: heads, claws and wings. Class 2: Dragon anatomy and giving graceful movement to your composition. Class 3: Gothic calligraphy: the minuscule letters. Class 4: The final project, step one: the full composition in pencil. Class 5: Step two of the final project: inking in the outline and refining the details. Learning to draw a scroll for the title. Class 6: The last step: painting the background with a light wash of color, laying in the solid color areas and then adding delicate details and highlights. Writing the title of your painting in Gothic calligraphy.